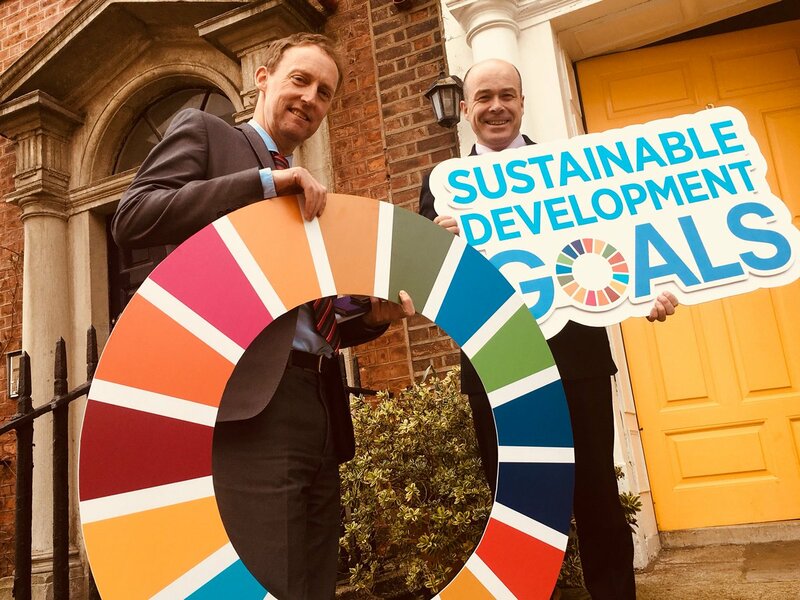 Today on the 26/04/17, All Together in Dignity Ireland welcomes the launch of the Sustainable Development Goals National Implementation Plan 2018-2020 by Minister Naughten and the Department of Department of Communications, Climate Action and Environment. It is particularly encouraging to see a foreword from the Taoiseach in the document. We value his commitment to lead Ireland in our pursuit of the targets and ideals of the Sustainable Development Goals and his recognition of the importance of the promise to Leave No One Behind in the process. We look forward to seeing action on public engagement and awareness of the Goals and the Promise. At grassroots level, here in ATD Ireland we are spreading awareness of the Leave No One Behind Promise with our Leave No One Behind Conversations campaign which consists of thought-provoking workshops imploring people to examine the necessity for a Leave No One Behind Promise as well as the challenges which are inevitable in delivering on such a transformative statement. The creation of a National Stakeholder Forum is a critical next step in the implementation of the Irish Plan.